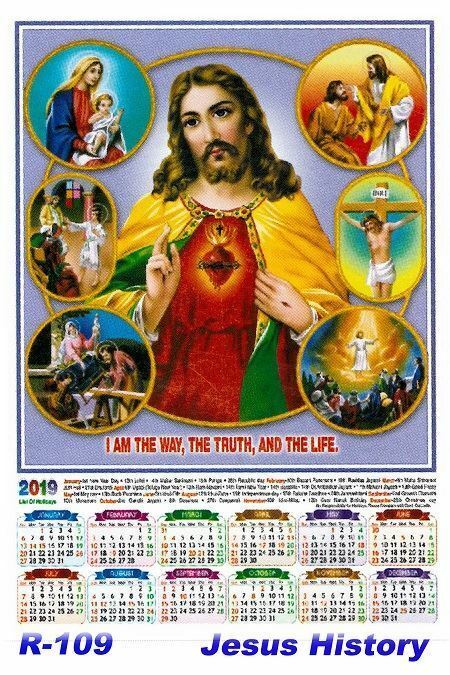 Calendar size 14" X 24"(Width x Height) / Advertisement Space Size 13" x 4"(Width x Height) Poly foam Single Sheet Calendar 2019. Plastic Poly Foam calendar 2019. Waterproof & Non-tearable foam sheet. Finished product as both side double fold tin. Single sheet with all 12 month. Calendar size is 14" x 24". Which is bigger than A3(11.7" x 16.5") papper. Calendar size in centimetre 35.5cm x 60.9cm (width x height). All Indian holidays are listed. Holidays are listed in different colour. Party's advertisment is printed in one colour at free of cost. Party's advertisment size in inch 13" x 4" (width x height) and size in centimetre 33cm x 10cm (width x height). Party's advertisment colour as per customer's wish. Please tell us once you placed on order. Order delivery lead time is maximum of 3-7 days. Size mentioned are approximate values and vary ±5". Upload/Send us, the party's advertisment to get printed on calandar, Party's advertisment should be 13" x 4" . Article is resized or trimmed off, if exceeds the mentioned size,. We will design your advertisment for you at free of cost, if you don't have your advertisement. Two time e-proof is absolutly free. Party advertisement Size 13" x 4"
Party advertisement colour As per customer wish. Single color is included in price.